Jovan is currently Client Director at global branding consultancy FutureBrand. Prior to this, Jovan spent nine years at Jones Knowles Ritchie (JKR). 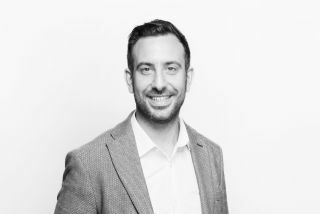 As a Client Director, Jovan is involved with managing design at a strategic level and leads a team of account managers who alongside him build strong client relationships and deliver high levels of client servicing. During his career he has worked with Unilever, Britvic, Diageo and Birds Eye. He also led the account for luxury fragrance house Penhaligon’s, for which JKR won numerous design awards including DBA Design Effectiveness, New York Festivals and a Marketing Week Award. Jovan started his career with an internship at advertising agency M&C Saatchi and also experienced life as a client in retail marketing before moving to branding and design.